SiliCycle specialises in the development and production of high-quality silica-based solutions designed to assist with synthesis, extraction and purification processes during the manufacture of active pharmaceutical ingredients (APIs). Our extensive range of services includes scavenging screening, molecule synthesis, method development, and custom column packing. We also provide a number of innovative products such as silica-supported scavengers, catalysts and chromatography consumables to optimise our clients’ production processes, while our expert scientists are committed to assisting customers by providing advice and technical support throughout the entire lifecycle of their product fabrication operations. We are a leading manufacturer of reliable, effective scavengers for metal and organic impurity removal, possessing a comprehensive portfolio of products that have been specially designed to efficiently separate contaminants from target compounds. SiliaMetS® Metal Scavengers are powerful silica-based gels that bind and react with excess metal complexes, allowing clients to meet their API’s final metal concentration levels in compliance with the latest ICH-Q3D Heavy Metal Regulations. We know that ensuring a secure supply of key materials is crucial to the success of any project. Our dedicated personnel leverage their extensive experience to help customers select and implement the optimal solution for their specific processes, from method development and scale-up through to commercialisation. 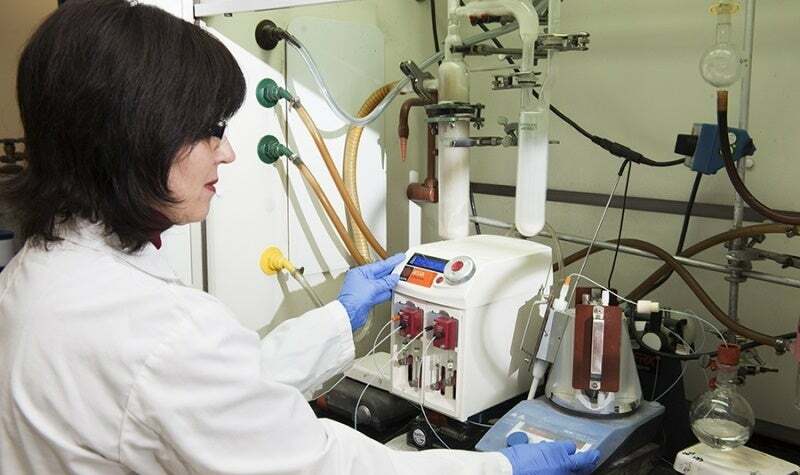 Our SiliaMetS E-PAK® flow cartridges and housing systems are new solutions that have been specially designed for fixed-bed, large-scale purification activities. This new technology facilitates rapid and reliable purification in flow-through formats, and has been co-developed by SiliCycle and Graver Technologies to address the growing global interest in reducing the use of insoluble particulates in reactor processes. SiliaMetS E-PAK systems are polymer monoliths that are extruded with activated charcoal or silica-supported metal scavengers in order to conduct in-line purifications or metal removal, while generating minimal-to-no backpressure. E-PAK cartridges’ fixed-bed design helps ensure safer handling than loose media solutions, and the systems’ large absorbent capacity reduces solvent requirements, while simultaneously improving product recovery. SiliCycle is well-equipped to aid pharmaceutical companies with their purification processes, and the company’s powerful separation solutions allow clients to efficiently achieve premium levels of purity for their products. We offer invaluable method development and optimisation support services, and are able to scale-up the purification rate for various products such as intermediates and APIs to ensure customers’ operations yield the highest possible level of quality. We can also extract and purify value-added compounds from various matrices, isolate impurities and carry out structure elucidation. As a leading manufacturer of chromatographic media, SiliCycle stocks a large inventory of phases and columns for rapid deployment, which further helps in reducing lead-times and overall operating costs. Our facilities are equipped with several high-performance liquid chromatography (HPLC) systems such as LC-MS / MS, LC-UV, LC-ELSD and LC-PDA, as well as various Flash-Prep HPLC units. We possess a number of cutting-edge load-and-lock dynamic axial compression (DAC) columns, lyophilisers, gas chromatography and mass spectrometry devices ready for use depending on customers’ project requirements. In addition to providing assistance with separation processes, SiliCycle is able to develop safe and cost-effective synthetic processes to address clients’ individual needs, from small-quantity activities through to industrial-scale pharmaceutical production. Our synthetic chemists have experience with multiple classes of molecules such as small molecules, heterocycles, APIs and building blocks, and can use clients’ own pre-designed synthesis pathway or create new ones in accordance with project specifications. Our facilities are equipped with complete fume hoods, evaporators and reactors in an array of different sizes in order to facilitate synthesis on various scales, ranging from milligrams to kilograms. The significant costs often associated with precious metal catalysts, and their tendency to remain traceable in organic products, has generated a large demand within the industry for ways to recover and reuse these metals, as well as methods to increase overall reactivity. Our SiliaCat® heterogeneous catalysts are an effective alternative to homogeneous catalysts and offer several significant advantages, including easier purification, high selectivity, and their ability to leave very low level of metal inside the reaction mixture compared to traditional methods. SiliaCat can be used for a versatile range of coupling reactions such as Suzuki, Heck, Sonogashira and Stille, and has proven to be a safer alternative for hydrogenation over palladium on carbon (Pd/C) processes. SiliCycle will be hosting a workshop tour for Syrris Canada at its headquarters in Villi de Quebec, Canada. SiliCycle is a leading producer of customisable silica-based molecules for pharmaceutical applications, which are specially designed to aid clients in fulfilling their synthesis and purification goals. The presence of residual metal impurities during drug manufacturing has become a major issue in the pharmaceutical industry in recent years, prompting a wide amount of interest in solutions for their safe and efficient removal.